Equal Pay Day was originated by the National Committee on Pay Equity (NCPE) in 1996 as a public awareness event to illustrate the gap between men’s and women’s wages and symbolizes how far into the year women must work to earn what men earned in the previous year. 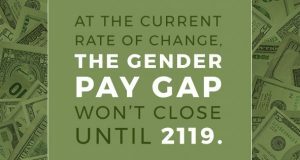 This year Equal Pay Day will be April 10, 2018. Equal Pay affects more than just the weekly or monthly paycheck. It impacts the amount of pension , 401K contributions and the ultimate amount of Social Security benefit upon retirement. Because young women earn less from the start, it takes longer for them to pay off their student debts and thus impacts their ability to buy homes or make other large purchases. The above statistics are even more stark for women of color. 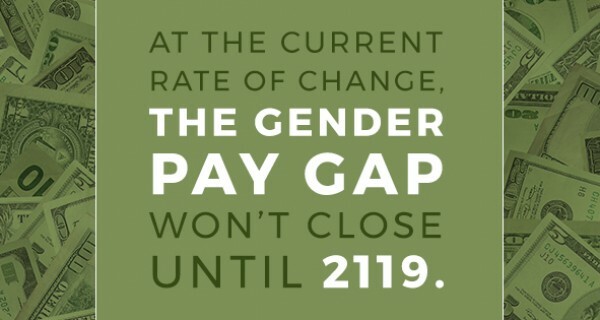 Read AAUW’s entire new report: The Simple Truth about the Gender Pay Gap. In participation of Equal Pay Day, on April 10, 2018 our branch will be distributing PayDay candy bars in various sizes to visualize the gender gap. We will be at BART and Los Positas College. We are encouraging members of our branch and the local community to distribute candy bars at their workplaces. If you are willing to help us do this please send an email to equalpay@aauw-lpd.org. We will contact you about providing the candy bars.